Kenya Airways (KQ) has postponed plans to fly to Somalia’s Mogadishu due to delays in getting additional airline and operational requirements. The flights to Mogadishu were supposed to commence on December 5, but failed the national carrier failed to take off. “Kenya Airways wishes to update its guests and the public, that due to the delays in the getting the additional airline and operational requirements for flights between Nairobi and Mogadishu planned for December 5 have been further postponed,’’ read a statement from KQ. Before that, the flight to Mogadishu had been scheduled to commence on November 15 but were pushed to December 5 due to “additional airline and operational requirements beyond the firm’s control”. 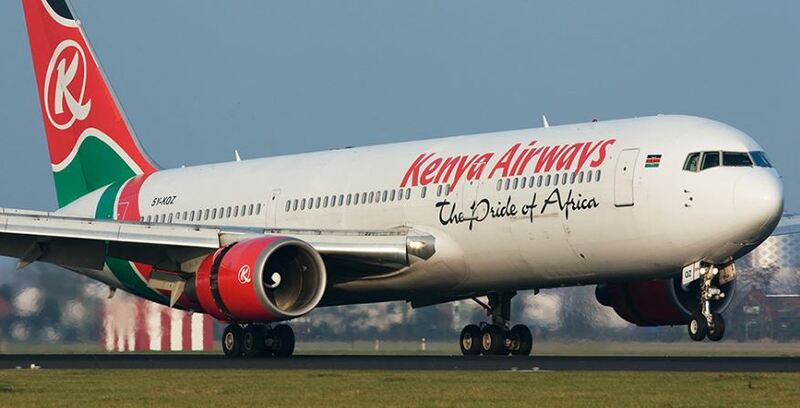 “We are engaging the relevant authorities on the necessary approvals and we expect to finalise this process as soon as possible and officially start operations for this eagerly awaited route,” said KQ chief executive Sebastian Mikosz. KQ suspended its direct flights to war torn Somalia in 2006 due to escalated terror threats and attacks by Al-shabaab. Planes from Mogadishu pass through Wajir International Airport for security checks and screening before proceeding to Nairobi. Recently, KQ reduced the number of its direct flights to new York, US, over low demand. So far, 10 scheduled flights have already been cancelled in the month of November due to low bookings. It was reported that the maiden return flight from US had only 45 passengers on board, against the normal capacity of over 230 passengers. The cash strapped airliner has been suffering losses in the past few years, with operational cost almost matching revenue incomes. At times, the operational cost is higher than the revenue income like the period between and including 2013 to 2015. As KQ struggle to make the NY route work, the airline is losing the battle locally with Qatar, Ethiopian Airline, Emirates and Rwandair being given rights to key domestic landings like Mombasa. While there is nothing wrong with the three flying to Mombasa, it would help KQ that the Kenyan government give rights based on reciprocity so as the enable KQ also to grow.